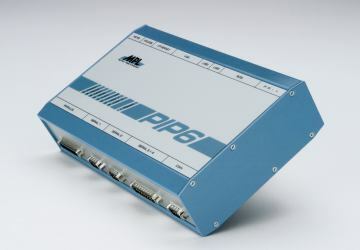 The PIP6 is a member of the low power, MPL-PIP family of industrial PCs. The PIP6 represents a unique solution for today's demanding industrial needs. The PIP family consists of Intel and Motorola based CPUs with various options including a complete, compact aluminum chassis and the ability to operate under extreme or normal conditions without the need for fans. The PIP 6 Specialty is the low power consumption in despite of the fact having Pentium class with MMX™-Technology. In addition to the standard PC/AT features the PIP 6 has on board additional capabilities like such as 4 x RS232/422/485, USB, LAN, CAN controller, ZV port and a 8-28 VDC power supply. These Key Features and more make the PIP 6 to the ideal solution for applications requiring strong processing, low power, flexibility, small size and/or rugged/extreme temperature options together with a long-term availability. For deployment in harsh environments, the PIP6 can be ordered in an extended temperature version. Every system needs to pass various tests in a environmental chamber to prove that it will perform flawless over the temperature range indicated.